Located in Lisbon District and only half an hour away from Lisbon city, Cascais is a great getaway if you’re in Portugal. 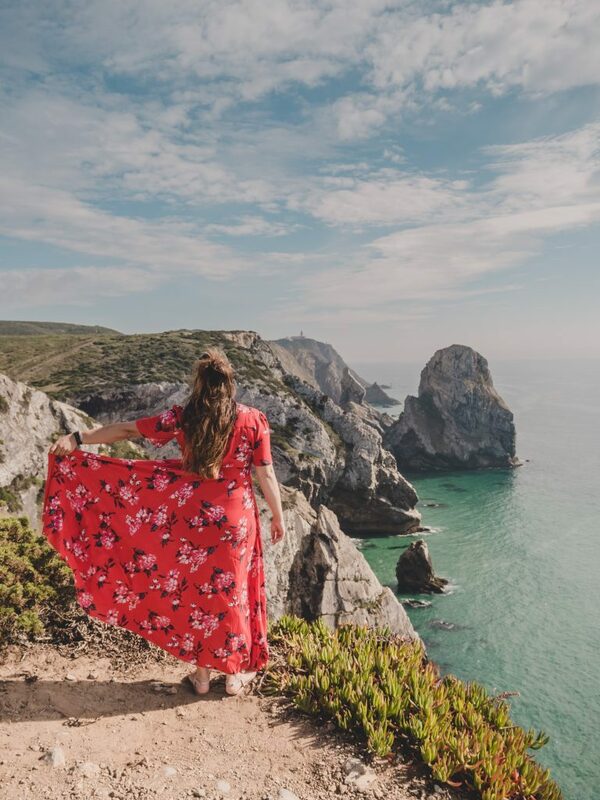 Perfectly located to visit Sintra and Cabo da Roca (the most westerly point of mainland Europe), it’s a great base for exploring the region! 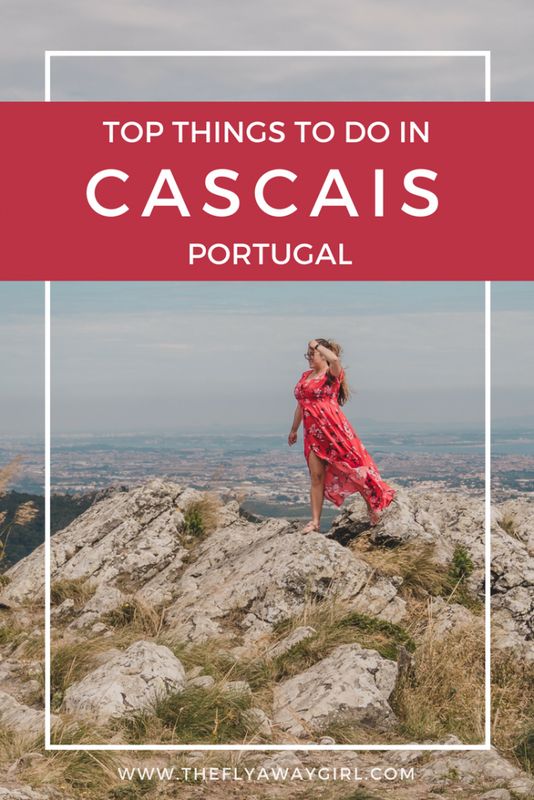 In this article, I have rounded up the top things to do in Cascais – I hope you enjoy reading! Disclaimer: I visited Cascais on a paid partnership with Visit Cascais. All opinions are, as always, my own. 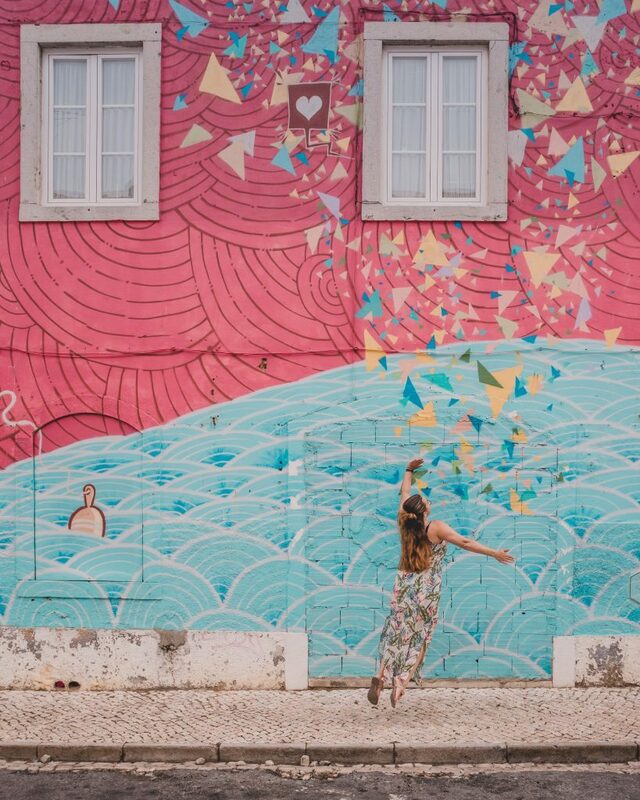 Lisbon – another perfect trip from Cascais! Getting to Cascais is pretty simple. The easiest way is to fly into Lisbon Airport and head to Cascais from there. 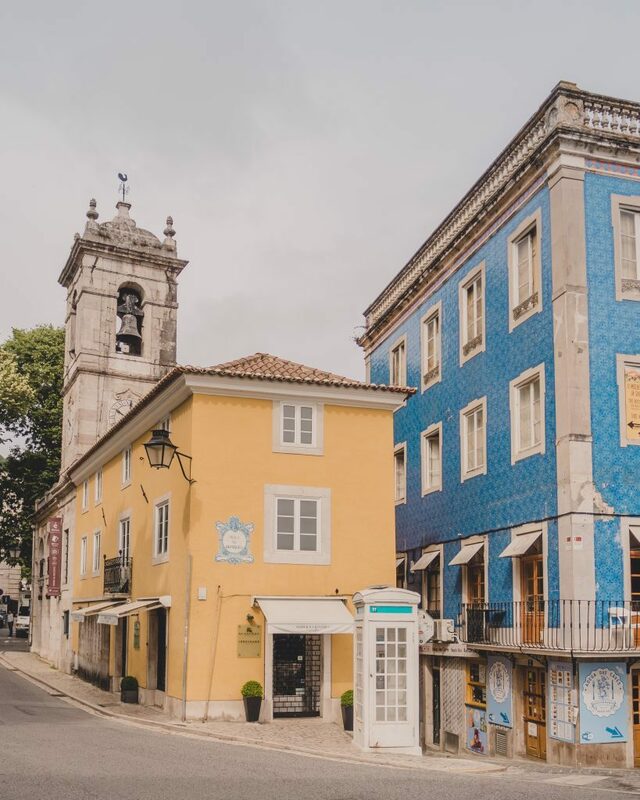 You can go directly to Cascais from the airport by taxi, or you can alternatively take a bus, train or taxi into Lisbon city and go by bus or train from there. 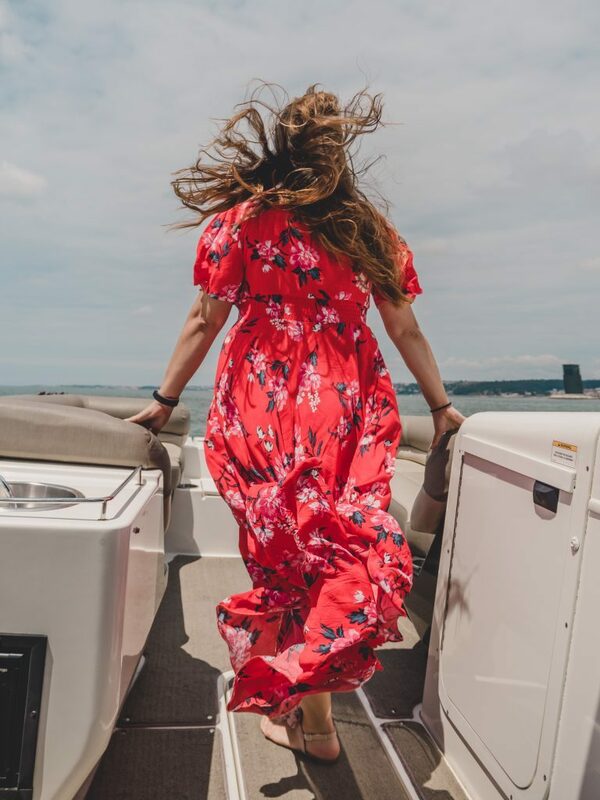 You can also do what we did and go by speedboat from Belem Marina – definitely the most fun way to travel! Cascais, located in Lisbon District, is one of the main cities on the Portuguese Riviera along with Estoril and Sintra. 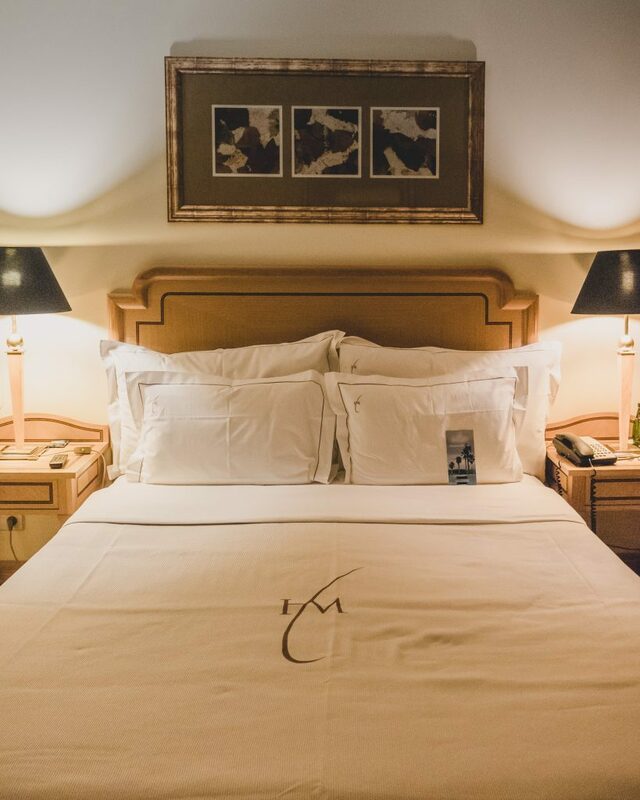 We stayed at the beautiful 5-star Hotel Cascais Miragem, located less than 10 minutes from the beach! 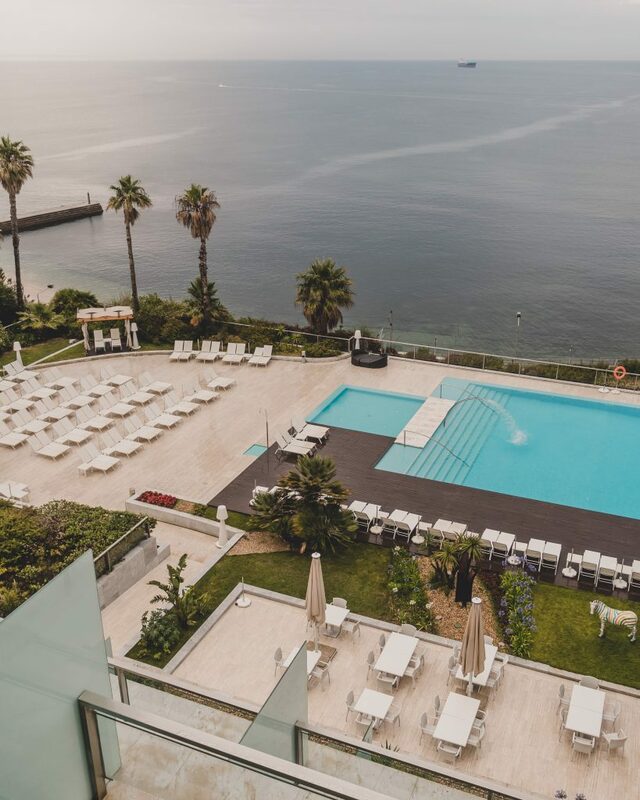 With a stunning outdoor infinity pool, two indoor pools (plus a sauna, Turkish bath, salt water bath, relaxation room and more), a spa, two restaurants and a bar, it’s the perfect spot to base your travels in Cascais from. Rooms at the luxury 5-star Cascais Miragem start at around £105 (single) £115 (double) per night. One of the best things to do in Cascais is to explore the city by foot. There are so many beautiful facades and such stunning architecture that you’ll be constantly wanting to stop to take photos! We started our wandering from Baía de Cascais (which is pretty photogenic itself!) and walked up past the town hall (Câmara Municipal de Cascais) and Praça 5 de Outubro and explored from there. One street with stunning examples of the azulejos (the famous ceramic tiles – more often than not blue in colour, but not always!) is Rua dos Navegantes. 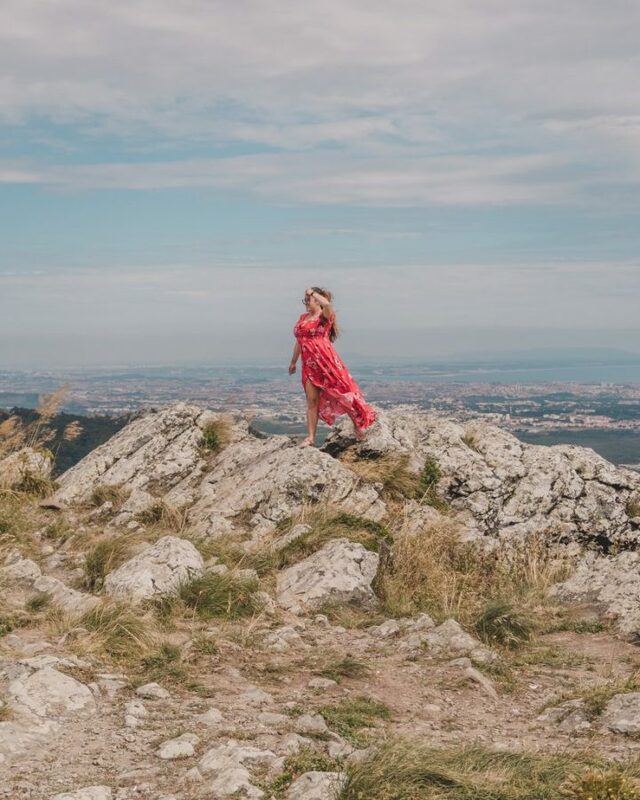 I would recommend simply exploring the old town and not having any specific destination in mind as you will stumble upon some incredible spots! PS: You also shouldn’t miss a visit to mercado de vila, or the Cascais market. It’s a great spot to pick up some fresh, local food and also to grab a coffee from one of the small stalls in the market (and we all know coffee is forever my number one priority). When you visit Cascais, you can’t miss the amazing Sintra-Cascais Natural Park (Parque Natural de Sintra-Cascais). 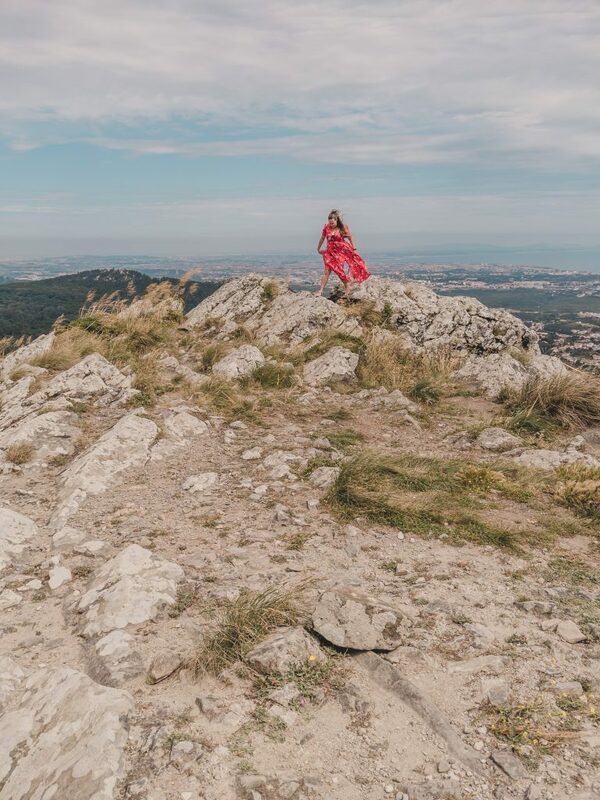 One of Portugal’s 13 Natural Parks (protected areas for conservation – similar to the US National Parks or UK Areas of Outstanding Natural Beauty), this park covers 145km² and includes the Serra de Sintra Mountain Range and also extends to Cabo da Roca, which I mentioned previously. 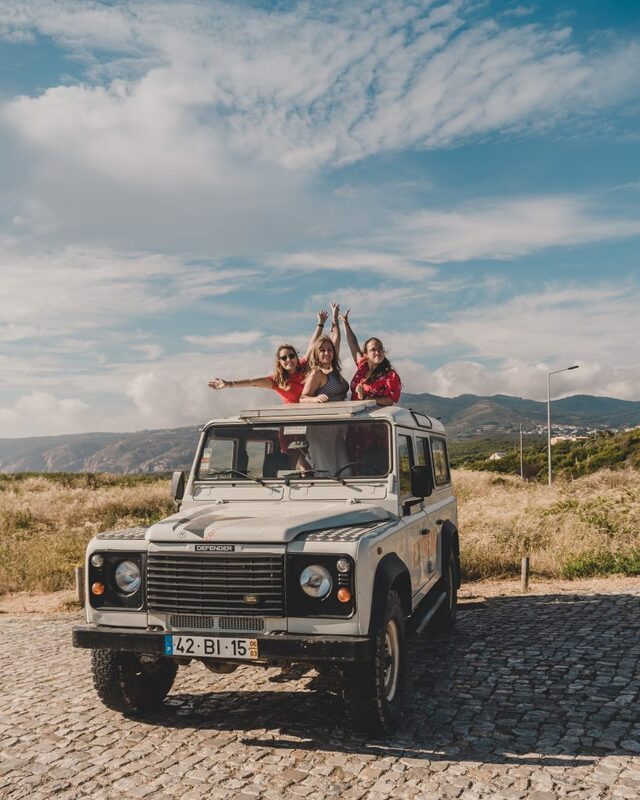 We took a jeep tour with Extremo Ambiente, which took us to the Santuário da Peninha and to Praia da Ursa. While we didn’t go to Cabo da Roca itself, Praia da Ursa is much quieter (i.e. less tourists!) and provides just as incredible views but you can only get there by 4×4! The drive itself is just as scenic as the destination, and we passed through some incredible forested areas. The area has a micro-climate which means certain areas are suddenly way more green and lush (and also foggy! ), perfect if you want to get a scenic fog photo on your drive. If (like me) you have back pain, make a judgment call about whether you will be okay on the Jeep tour as the roads that you take are pretty bumpy terrain! I settled for some Biofreeze (pain relief cooling gel) and had an incredible time! As I mentioned, one of our stops was to the beautiful Santuário da Peninha which is a total hidden gem in the natural park! Peninha Chapel (in English) stands atop a craggy hilltop and has incredible views of the Atlantic Coast down below. While the interior of the chapel is closed to tourists, you can still explore the outside terraces. These are absolutely stunning with bright yellow walls and views that will fill a memory card (not even kidding). Words can’t do this spot justice so I will let my photos do the talking! Visiting the Castle of the Moors – it’s recommended to arrive just before opening times to get the best shots! 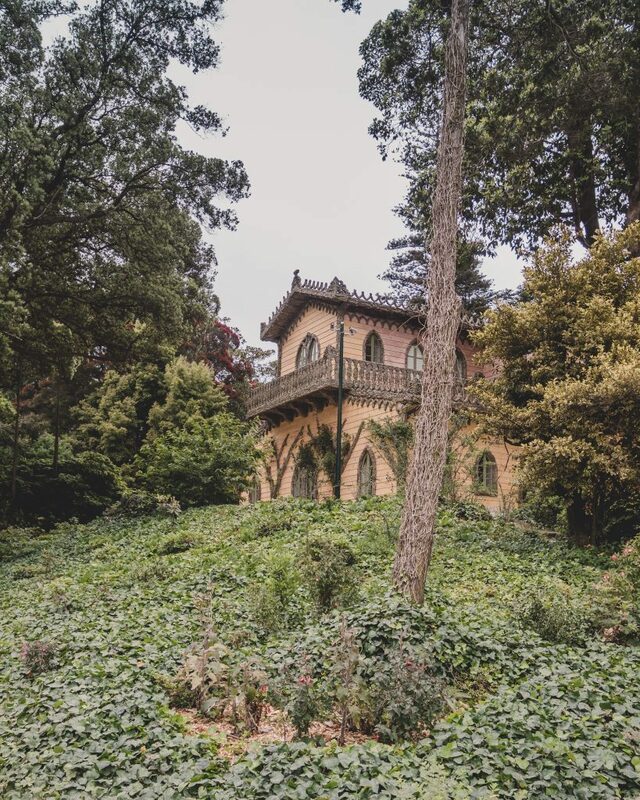 Visit the mysterious Quinta da Regaleira – don’t miss the instagram-famous Initiation Well! While we did not visit Praia do Guincho to stay on the beach itself, we did go past on our Jeep tour. A popular spot for surfers and kitesurfers due to its location on the Atlantic, this beach isn’t the best for a spot of sunbathing due to the wind that makes it so popular for more athletic activities. Visit Cascais has an entire guide on cycling to Praia do Guincho along a route that takes you past the incredible Boca de Inferno (a collapsed cave that has left a natural sea arch that the waves now crash rather dramatically into). I mean, this is surely the most important section. Right? RIGHT?! Anyway, you guys know I love food. And coffee. And Portugal has incredible food and coffee so I am SOLD. 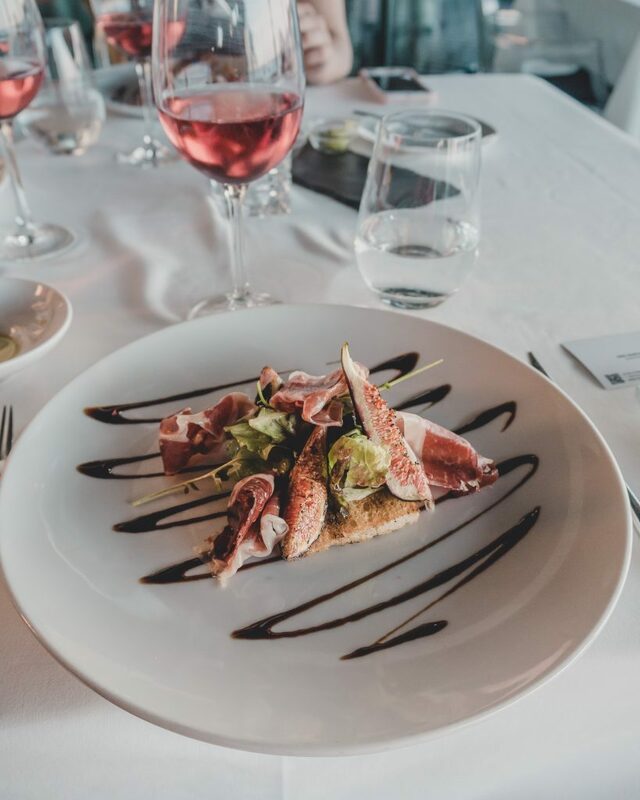 One of the top things to do in Cascais is definitely to eat so find out all the best places to grab a bite in my dedicated blog post! 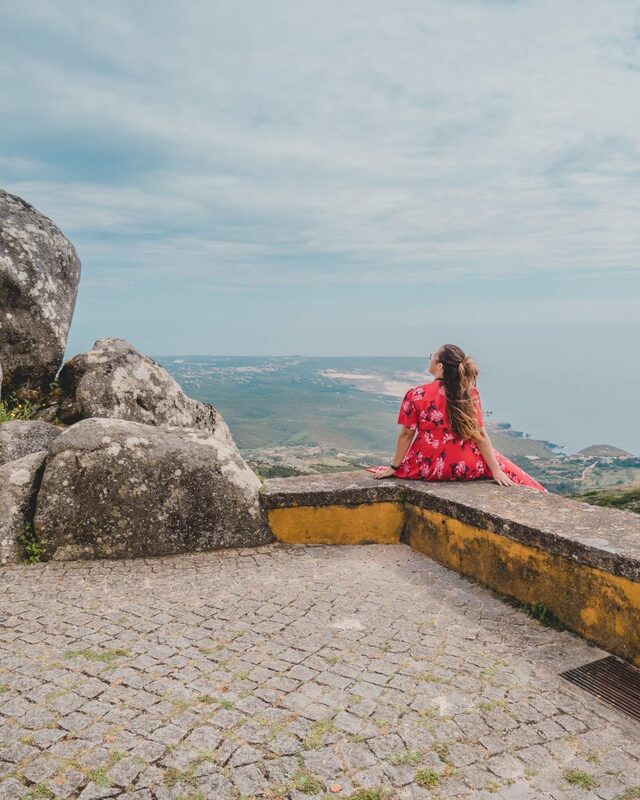 As you probably spotted from the fact that the huge Natural Park is the Sintra-Cascais Natural Park, Sintra is located not too far from Cascais city. From around 15 minutes (by taxi) to 30 minutes (by bus), it’s an easy day trip from Cascais. The old town of Sintra is a UNESCO World Heritage Site, with beautiful winding alleys decorated in the famous azulejos. 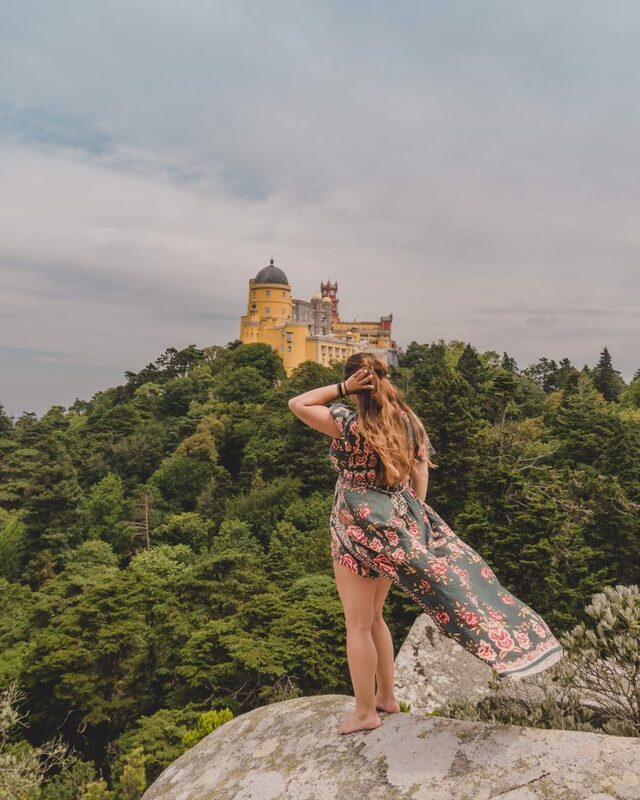 Sintra is also home to Pena Palace (which I mentioned earlier as one of the top attractions in the Sintra-Cascais Natural Park), a Romanticist castle built on top of a hill in the Sintra Mountains. I would recommend getting to Pena Palace early in the morning to avoid the crowds as it is a very popular spot! If you are not on a tour, to get to Pena Palace (Portuguese: Palácio da Pena) you will need to take a taxi or get the Line 434 bus. We started our exploration of the Palace and surrounding park at the Chalet of the Countess of Edla, or the Casa do Regalo. 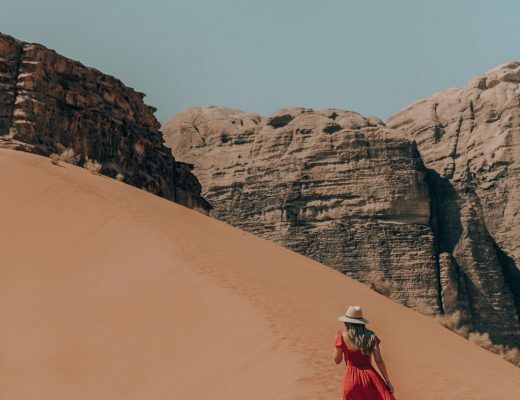 This route is not for anyone with mobility issues – it is best to be wearing good footwear as to get to some of the most beautiful lookout points there is some scrambling over rocks and through crevices required! However, if you are able to then it is well worth the walk (about half an hour, uphill). You can find details on opening times and ticket prices at Pena Palace on their official website. 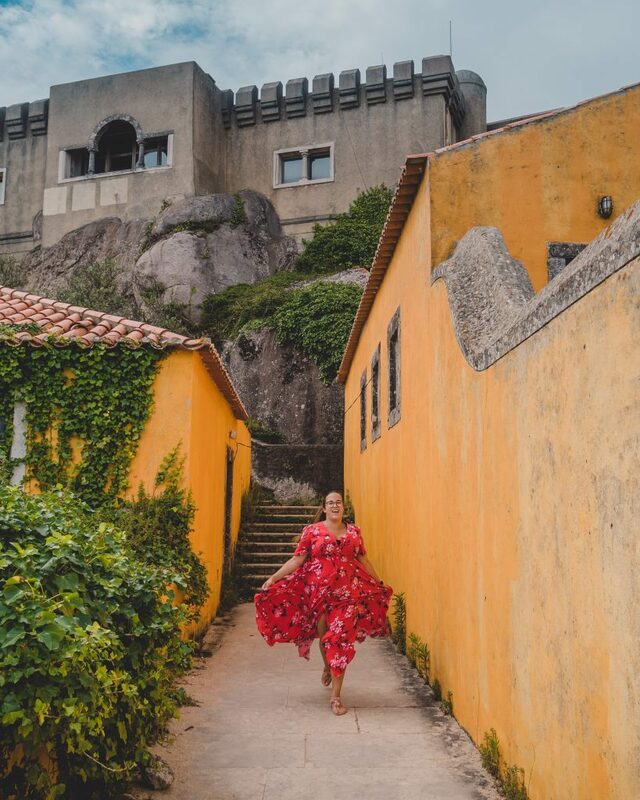 After your visit to Pena Palace, return back to the city of Sintra. 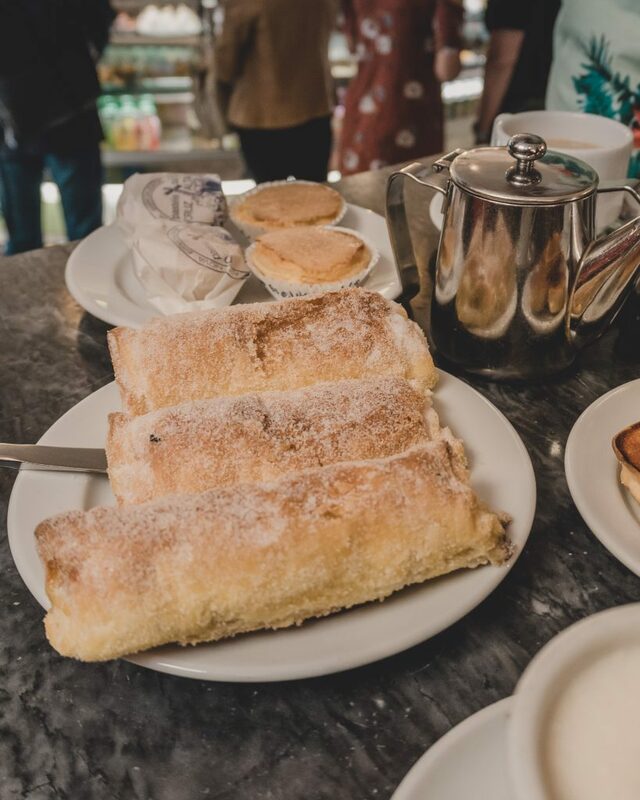 You’re probably peckish by now, so I would highly recommend some delicious Portuguese pastries! 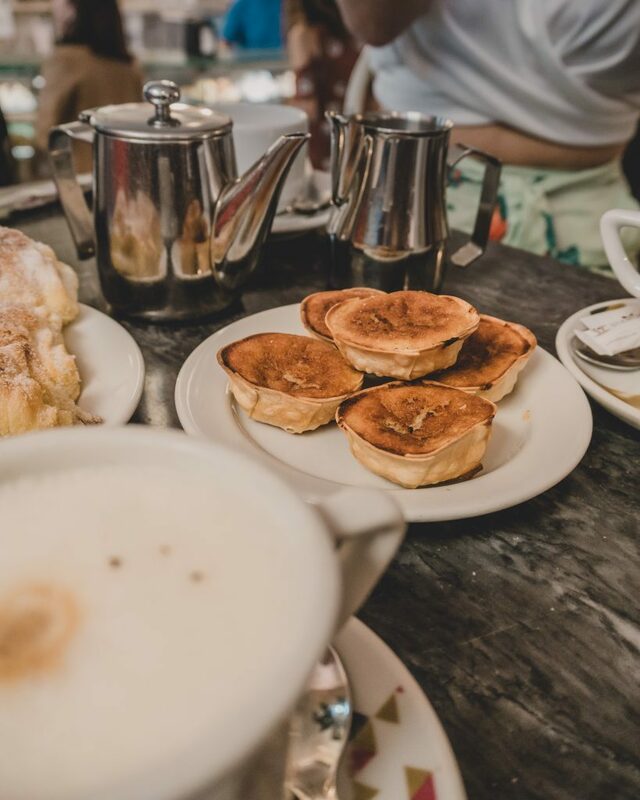 Stop by Casa Piriquita, a bakery that was founded in 1862. One of their most famous offerings is the queijada, which King Carlos I requested them to make. The bakery turned into a pastelaria (pâtisserie) and is a definite must-do when in Sintra. Travesseiro – a fluffy pastry with egg cream and almond (this one was my favourite!). The name literally means ‘pillow’ due to their shape! Try the famous queijadas when you visit Casa Piriquita! After replenishing yourself with a Portuguese café (a black espresso) and some yummy pastries, it’s time to explore Sintra. Explore the old town on foot and see what you find – it’s the best way to discover some absolute gems! 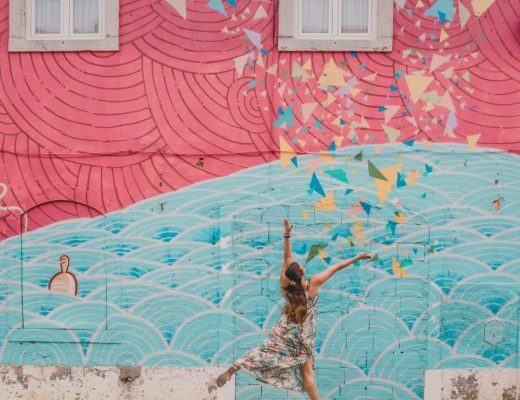 While many people would base themselves in Lisbon and make fleeting visits to Cascais and/or Sintra, why not base yourself in Cascais and visit Lisbon from there! As I mentioned earlier, it’s only a short trip from Cascais city to Lisbon city so it’s an easy day trip to visit the capital. Visiting Lisbon is enough for another blog post (and probably will be one soon! ), so I will leave you with just a few recommendations here. For the classic Lisbon tram shot, head to Elevador da Bica (also known as Ascensor da Bica). 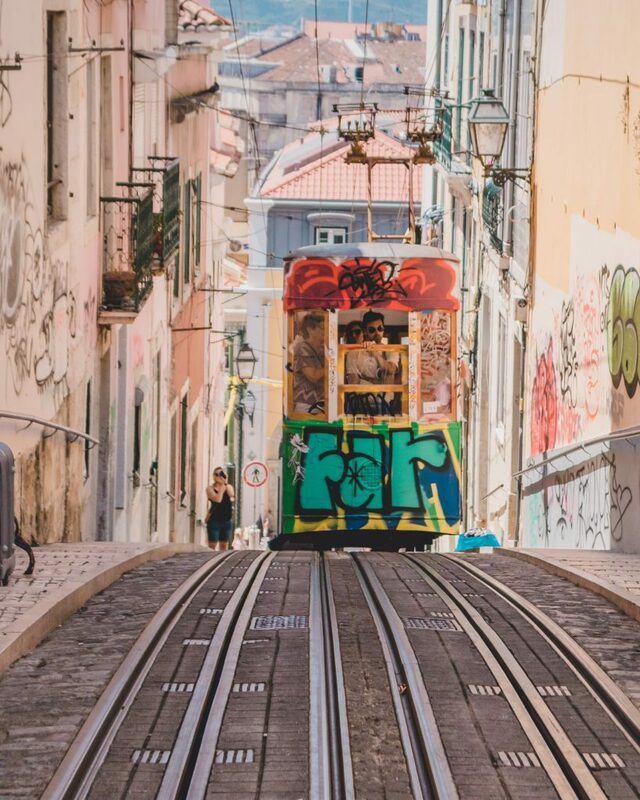 Located in the area of Misericórdia, it is the best spot for the stereotypical tram photos you have probably seen all over Instagram! It does get quite busy, so either aim for non-touristy times (whether you come off-season or come early in the morning) or try and get a shot from a different angle (such as down a side street). For excellent coffee in Lisbon, head to the amazing Fabrica Coffee Roasters. I highly recommend reading Christie’s post about the best coffee in Lisbon – that’s how I found out about Fabrica! Food-wise, you absolutely can’t miss a visit to Time Out Market Lisbon. Time Out Market is the first market in the world where everything has been tasted and chosen by an independent panel of city experts – everything is 4- or 5-star rated and nothing less! Try a delicious burger from Ground Burger or gelato from Santini (which is actually from Cascais!) and don’t miss the excellent coffee stalls either. 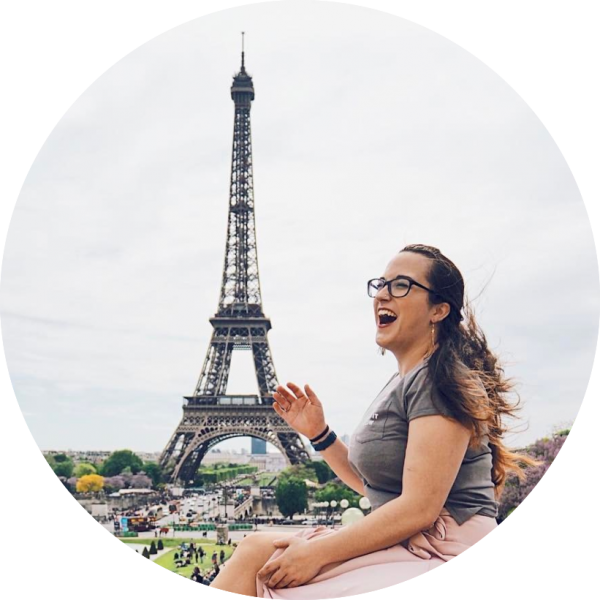 I won’t go too in depth about Lisbon here because otherwise this blog post will become a small novel… but let me know in the comments what you’d like to hear more about in my Lisbon blog post! 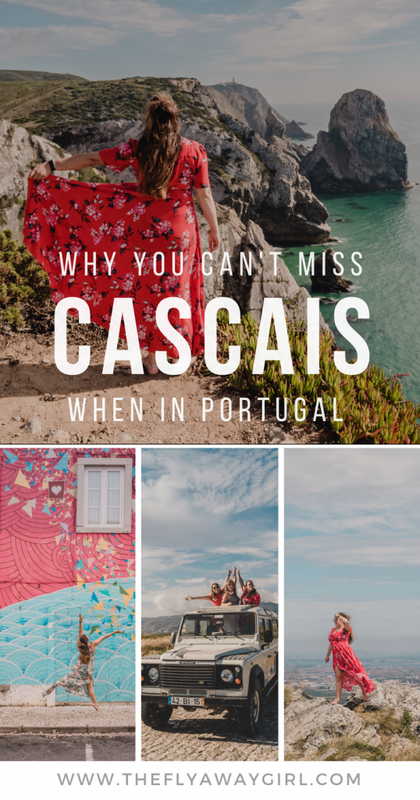 I do hope you enjoyed reading about all the things to do in Cascais and, hopefully, it has inspired you to visit the city of Cascais and more of Portugal! Thank you again to Visit Cascais for showing us their incredible city. Have you visited Cascais? Let me know in the comments!